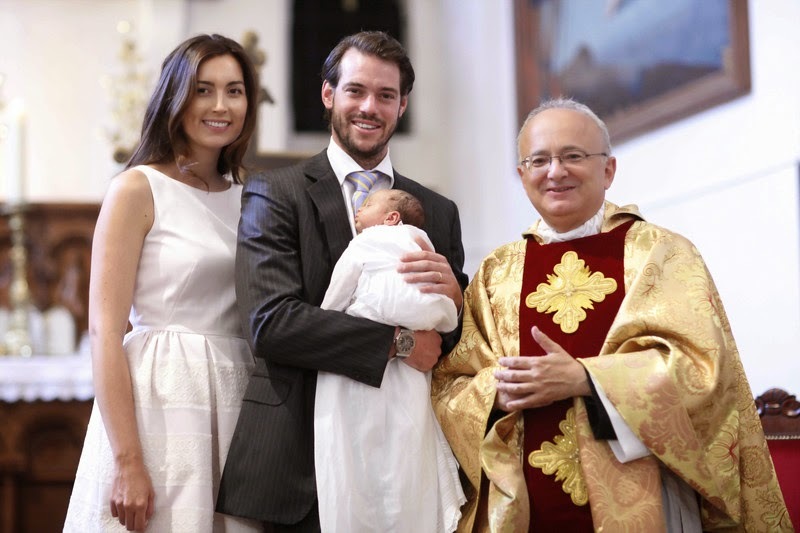 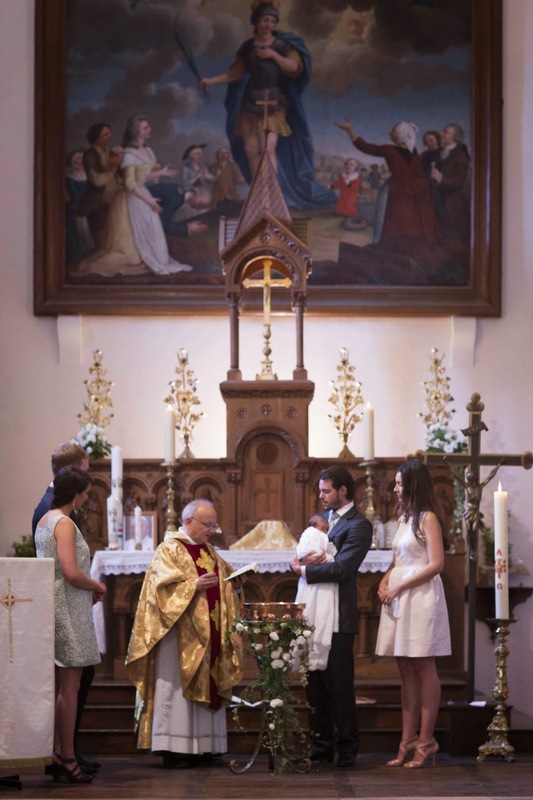 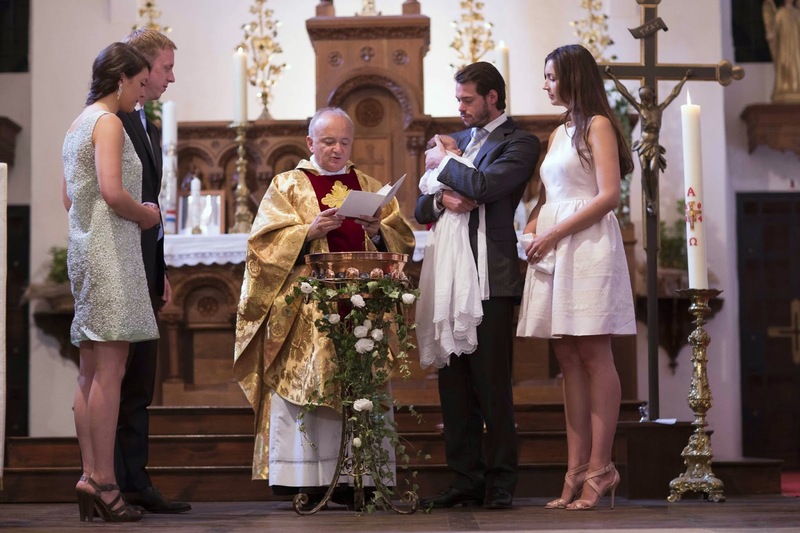 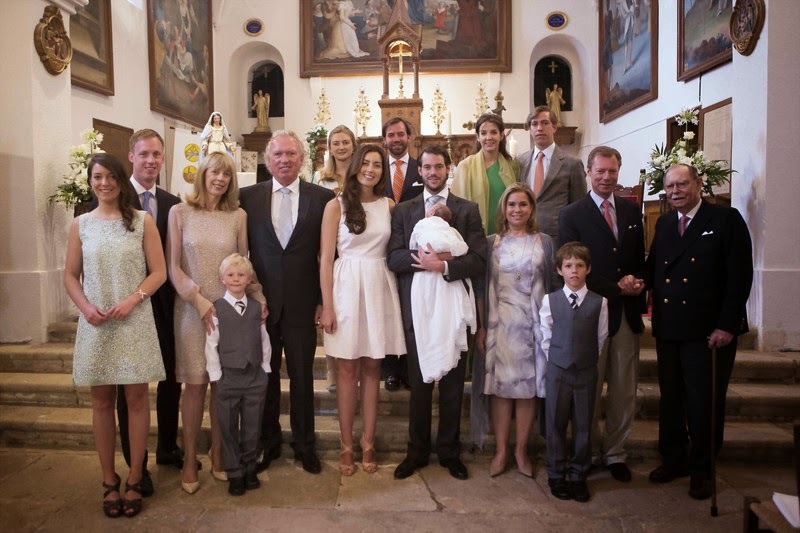 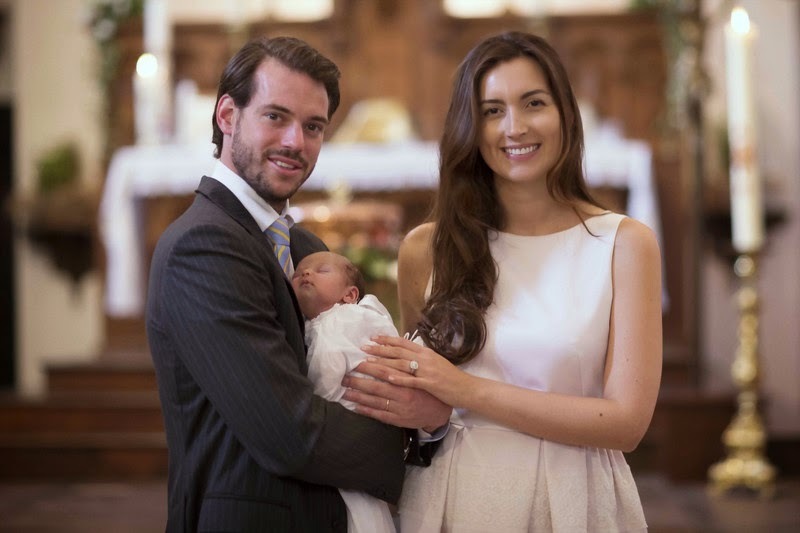 The cour grand-ducale has released a few pictures of the baptism of Princess Amalia of Nassau, the baby daughter of Prince Félix and Princess Claire. 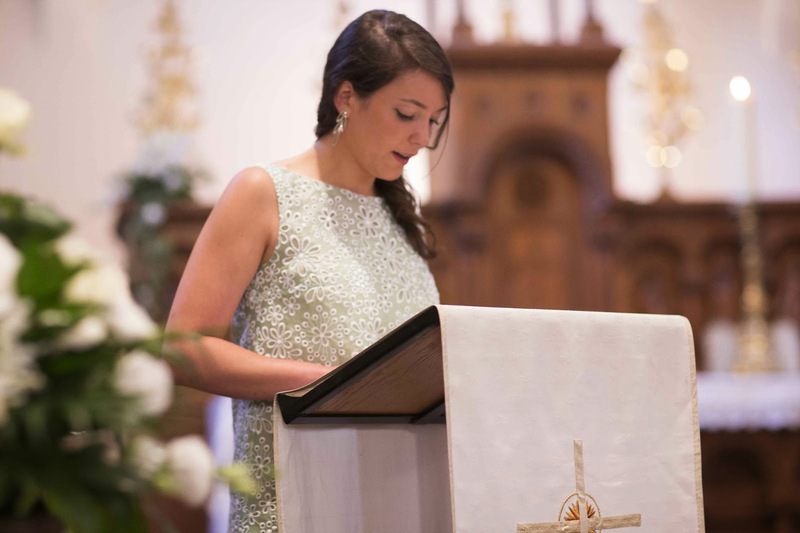 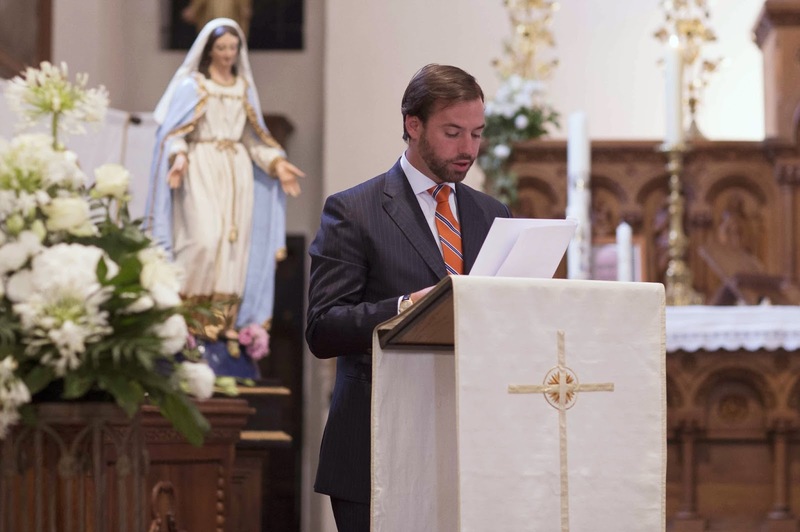 Judging by the pictures, Hereditary Grand Duke Guillaume and Princess Alexandra were among those to read intercessory prayers for their niece. 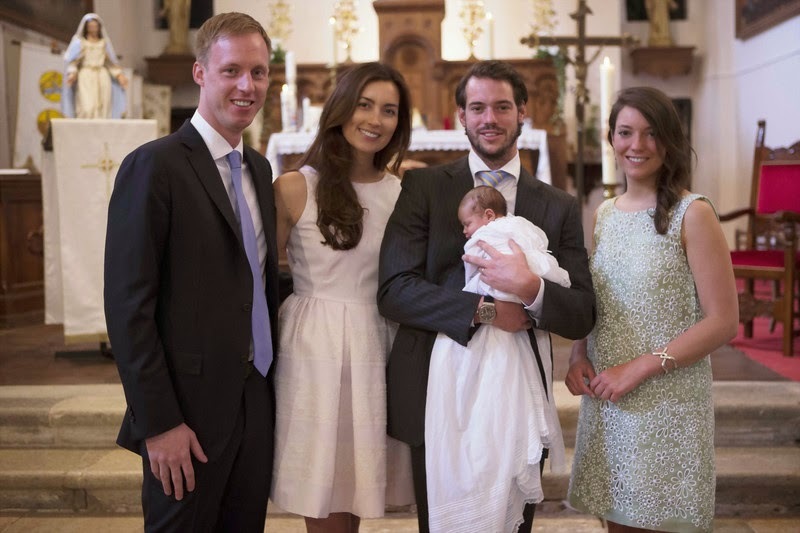 Also, it seems that even though he was supposed to attend according to advance information released by the cour, Prince Sébastien wasn't in Lorgues. 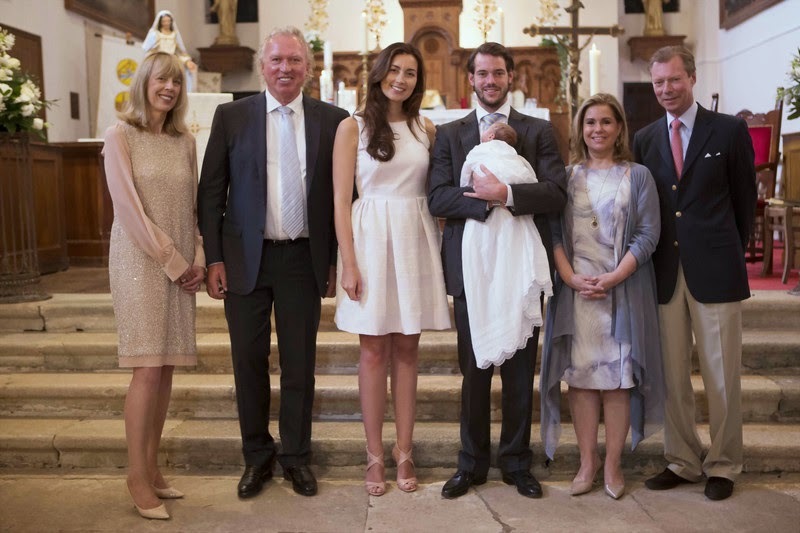 As I haven't seen any picture of Archduchess Marie-Astrid either, I'm not sure whether she attended even though she was scheduled to.